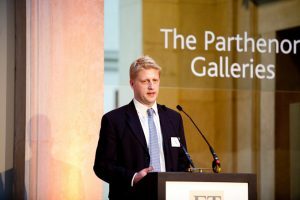 Jo Johnson, brother of the more famous Boris was appointed Minister of State for Universities, Science, Research and Innovation in July 2016. In his list of responsibilities intellectual property is listed last, lets hope it is not least. It comes last because it was only added in January 2017 and he held on to the post after the June General Election. Its doubtful that he will be able to give the same level of time and commitment that the IPO enjoyed from their former Minister, Baroness Neville-Rolfe, whose ministerial career ended after the General Election. She had the title Minister for Intellectual Property but no-one has that exclusive focus now, which we must count as a shame.